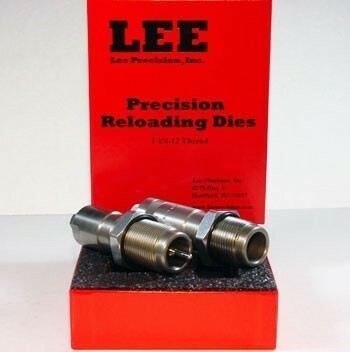 Lee 416 Barrett Large Series (1 1/4x12 thread) 2-Die Set for 416 Barret, used with the Classic Cast Press only. Includes Full Length Sizing Die, Bullet Seating Die, and Instructions. Does not include Shell Holder, Load Data or Powder Dipper.